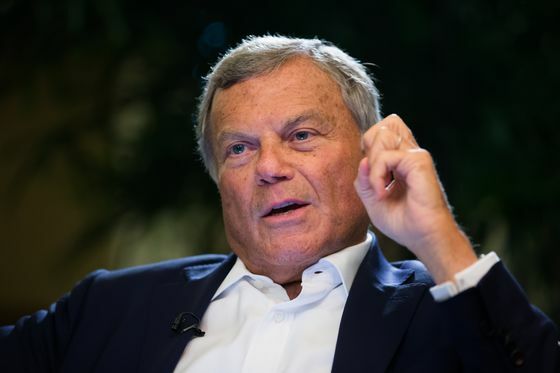 (Bloomberg) -- Martin Sorrell is set to beat his former employer WPP Plc in the race to acquire Dutch-based digital production firm MediaMonks with a deal that may come as soon as Tuesday, according to people familiar with the situation. The advertising industry veteran’s new venture S4 Capital Ltd. is nearing an agreement to buy MediaMonks for about 300 million euros ($353 million), said the people, who asked not to be identified as the discussions are private. S4 Capital has outbid WPP and rival suitors, they said. Buying the little-known creative agency would allow Sorrell to start rebuilding his reputation after he was ousted from the world’s biggest advertising group in April following an investigation into allegations that he used company money to pay for a visit to a brothel, which Sorrell publicly denied. Losing the contest would be a blow for WPP, which has faced criticism from some investors for allowing the skilled 73-year-old strategist and dealmaker to walk away holding onto his big industry contact book without signing a non-compete agreement with the company he built almost from scratch. WPP struck back belatedly last week, telling Sorrell his pursuit of MediaMonks violated their confidentiality agreement, putting a retirement package worth about 20 million pounds ($27 million) under threat. The deal is expected to be funded partly using cash that Sorrell has raised from a group of investors including hedge fund manager Crispin Odey, while MediaMonks shareholders would become significant shareholders in S4, the people said. The Sunday Times reported over the weekend that MediaMonks senior managers, who own 45 percent of the Amsterdam-based company, have been offered 25 percent of S4. Private equity firm Bencis Capital Partners BV owns the remaining 55 percent of MediaMonks, the newspaper reported. WPP is the worst-performing major ad stock over the past year, amid investor perceptions that it’s ill-suited to respond to new digital rivals and reduced marketing spending from consumer brands.